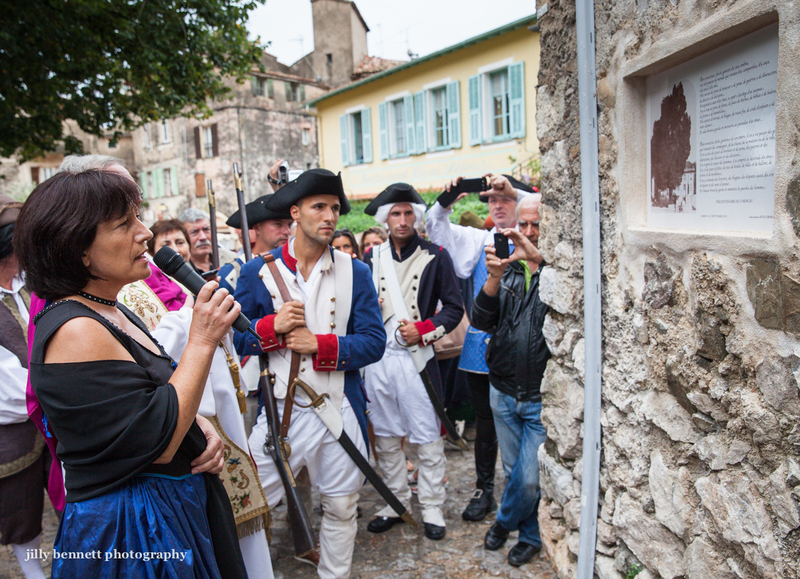 After the benediction of the 300 year old tree, the priest stands by the inscription set in a nearby wall. 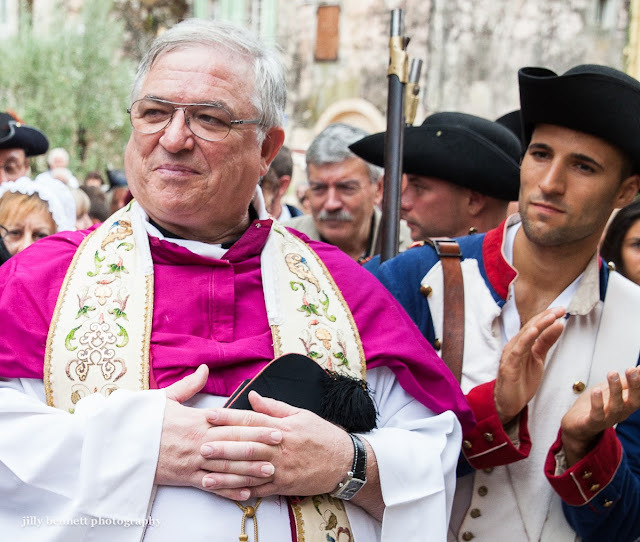 In honour of the event, he is wearing sacerdotal robes from the18th century. Later Arlette Pastor (Sota Orme) read aloud the words in Gorbarin, the language spoken in Gorbio. 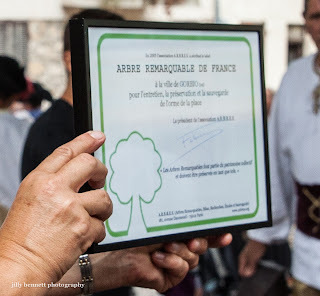 And last of all, before the dancing begins again, the tree was awarded the designation 'Remarkable Tree of France.' And she waved her branches with pride. 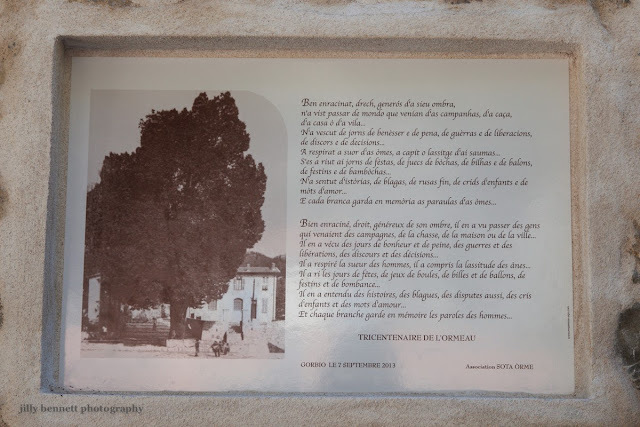 Après la bénédiction du vieil arbre tricentenaire, le prêtre se tient près de l'inscription insérée sur un mur à proximité. 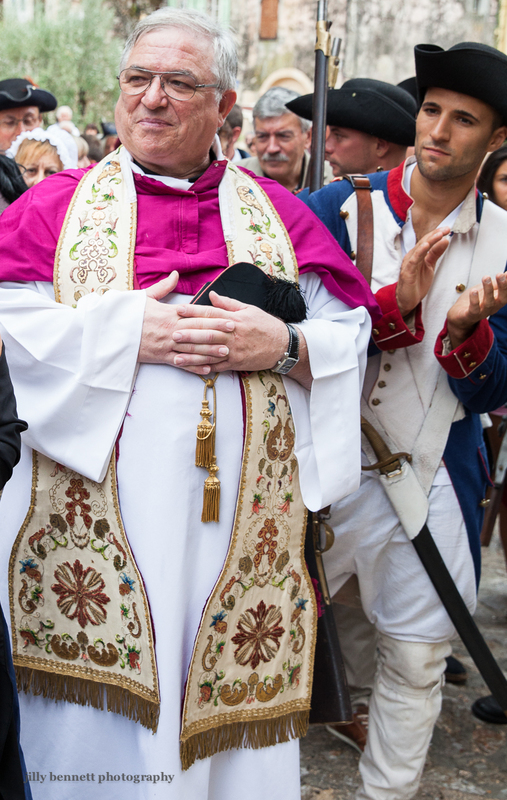 En l'honneur de l'évènement, il porte des habits sacerdotaux du 18ème siècle. Plus tard, Arlette Pastor (Sota Orme) en lit les mots écrits en gorbarin, la langue parlée à Gorbio. Et enfin, avant que les danses ne recommencent, l'arbre a reçu le label « Arbre remarquable de France." Et il agita ses branches avec fierté. Fantastic documentary you have created with your beautiful images and the text. In some ways it has been like watching a film. I really like your village life, so unique and creative.